Throughout our trek around the Detroit Auto Show this year, we noticed a growing trend in vehicle user interface: Motion controls! Yes, we may have already gone through this phase in gaming (and are still sort of in it) but the rest of the product world is just now joining in. The first example we came across was via Toyota. 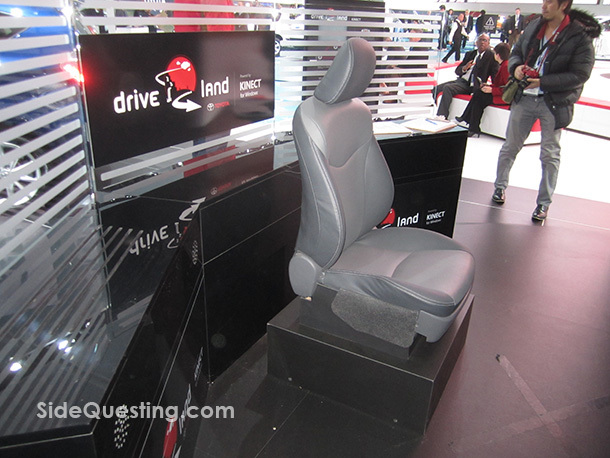 Their Drive Land booth was designed to guide the user through an experience that included selecting a car, its color, viewing its interior in 360 degrees, and finally driving the car on a test track. 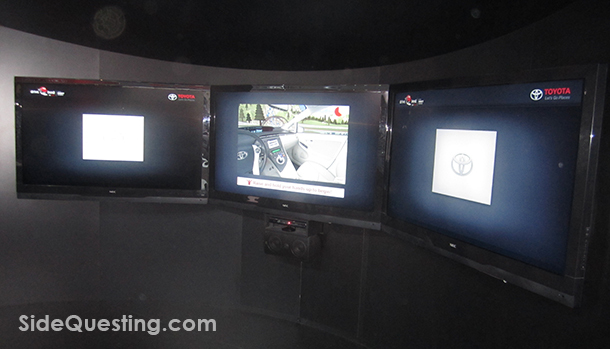 All of this was done with Kinect for Windows, in a mini-booth that consisted of three large monitors, a Kinect, and a Prius seat. 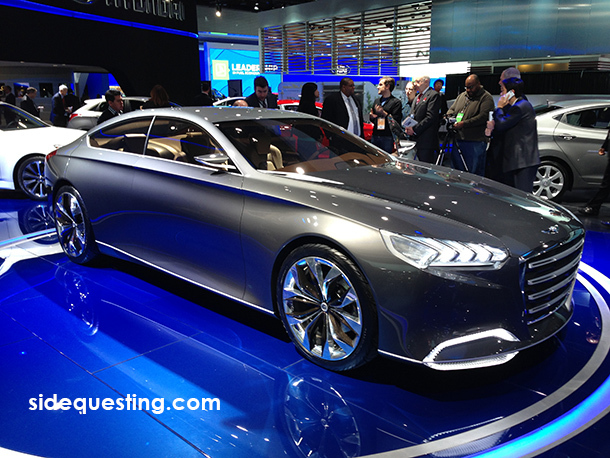 The experience was first shown at the LA Auto Show back in December. When Forza 4‘s Autovista mode was first shown to us at E3, the idea of a virtual showroom within XBox Live — one that would allow you to customize a car, its options, drive it, and even place an order to your local dealership — seemed like an obvious way for car manufacturers to mix advertising and gaming and reach a bigger audience. Toyota has some experience with it, too. They launched a Yaris-based racing app for XBLA several years ago. Anyhoo, the entire concept here was pretty simple in execution, but with a little more work could be a great way for people to experience cars before they buy them. Kind of. My arms hurt from holding a virtual steering wheel for even a short length of time. The other manufacturer we examined that was utilizing motion controls was Hyundai, who brought the controls inside the vehicle. Their latest concept, the HCD-14 Genesis, utilizes gesture controls inside the cockpit to manage audio settings, heat and cool, and communication. 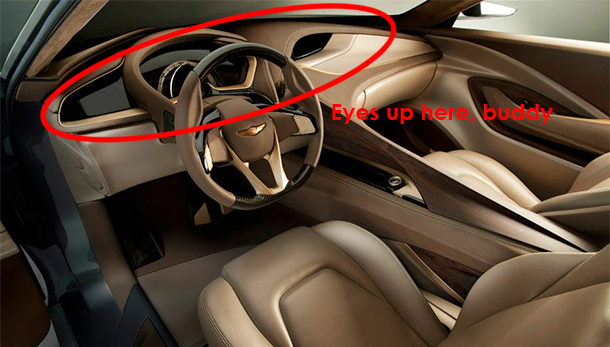 The vehicle also has gaze-mapping, meaning that it watches where your eye is pointing and focusing to select options. The features were demonstrated only in video form, and not yet available for download or online. We’ll update this article as soon as the materials become available. 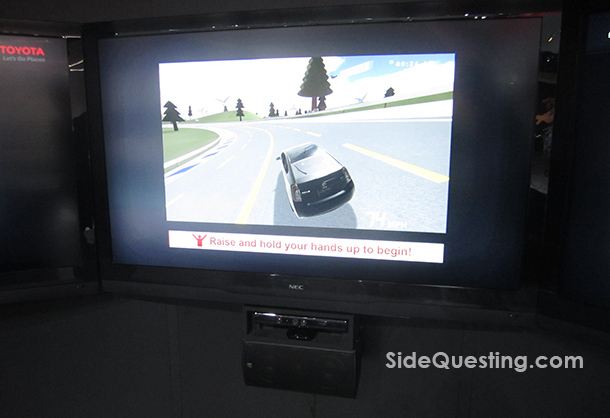 Motion controls are making their way into cars. Is is something you’re ready for?